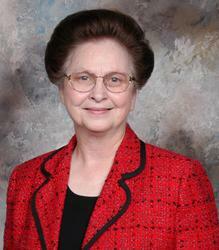 Neoma has lived in Little Rock for most of her life, selling real estate for over 30 years. She has been a top agent in the Central Arkansas market and is a multi-million dollar producer. She advises clients on the market value of their property, area real estate trends, and strategies for each transaction. Her secret weapon is her amazing knack for problem-solving. She is known for keeping her clients happy and defending their interest even in the toughest transaction. When Neoma isn’t helping or advocating for her clients she spends a lot of time laughing and telling stories with her family or volunteering for her church, where she assists with outreach programs and planning ladies’ events. Neoma has always been a very family oriented person, which is why it has been such a joy for her to add her granddaughter, Danielle, to her team!